Jodi Weitner attended Ithaca College and received her Master of Science in Physical Therapy (MSPT) in 2001. 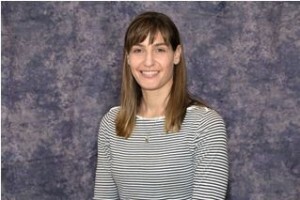 After working for two years in the pediatric setting, she participated in the post-graduate program at Drexel University, graduating with her clinical doctoral degree (DPT) in 2005. As part of her doctoral training, Jodi assisted in the development of a Fact Sheet for the APTA regarding Developmental Coordination Disorder (2006). Jodi has fifteen years of experience working with children from zero to twenty-one years old in a variety of clinical settings including early intervention, school based physical therapy, aquatic therapy, and outpatient physical therapy. She has worked diligently to enhance her knowledge and skills by attending a variety of continuing education and professional development courses within her areas of interest. These include advanced NDT training, aquatic physical therapy and torticollis; she is also an APTA certified clinical instructor. Jodi has both her C1 (March 2015) and C2 (April 2016) certifications for the three dimensional treatment of Scoliosis via the Barcelona Scoliosis Physiotherapy School. She has also taken several yoga continuing education courses, and is a candidate for certification in Professional Yoga Therapy (PYT). She hopes to complete this certification within the next year. She has been practicing yoga herself for the past three years, and has seen first-hand the physical and social-emotional benefits it provides. She hopes to incorporate this integrative and holistic approach into treatment with her clients, and is especially excited to combine her knowledge of Scoliosis with that of yoga to create Scoliosis specific yoga workshops and classes for PRNY. Jodi resides in northern NJ with her husband and two children.